Do you represent a Wisconsin State Government Agency and wondering how you should archive all your web and social media content? Are you trying to determine what you need to do both from a legal and a technical point of view? Here’s a guide to the different Laws and processes you should follow. What Laws govern Records Management in the State of Wisconsin? 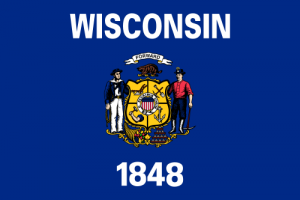 Wisconsin Statutes 19.31-19.39 govern social media and open records in the State of Wisconsin. Do Wisconsin State Records Laws include Website and Social Media content? In Wisconsin legislation, the definition of “record” includes handwritten, typed, or printed documents and a provision on electronic records and communications. In terms of records created in electronic format, information regarding government business kept or received by an elected official on a website, for example “Making Salem Better,” constitutes a record. If records are created in connection with official business, specifically in regards to electronically stored information, this constitutes “information”. The substance, not the format, controls whether it is a record or not. (Youmans, 28 Wis. 2d at 679, 137 N.W.2d at 473). This includes social media content created for, by or on behalf of authorities (such as Facebook and Twitter) in relation to government business. This includes not only currently “live” content, but also past content. (Wisconsin Stat. § 16.61). If an authority (including its individual employees) makes use of social media, the authority should adopt procedures to retain and preserve all such records consistent with Wis. Stat. § 16.61 (state authorities), Wis. Stat. § 19.21 (local authorities), and applicable records disposition authorizations. A relevant agency must provide standards and guidelines on the archiving and retention of public records, opinions on various matters regarding social media record provisions, monitor content and ensure adherence with their policy including the proper preservation of records. Inappropriate use may result in the removal of the Department/Division page or account from these social media sites. How can we transfer website archives made with PageFreezer to the Wisconsin State Digital Archives? PageFreezer exports all data on request in the original file format including the required metadata. This data set can be transferred by FTP or by other means to the Wisconsin State or Agency Digital Archives. Case Law: State ex rel. Gehl v. Connors 2007 WI App 238, 1, 742 N.W.2d 530; WIREdata, Inc. v. Vill. of Sussex, 2007 WI App 22, 64, 298 Wis. 2d 743, 729 N.W.2d 757 In these instances, it was found that providing a copy of electronic documents merely in PDF version was insufficient to comply with a records request. The electronic data in its original form, including secondary electronic records, was “as much a part of the public record as if it were written on paper property cards and organized and stored in a file cabinet”.